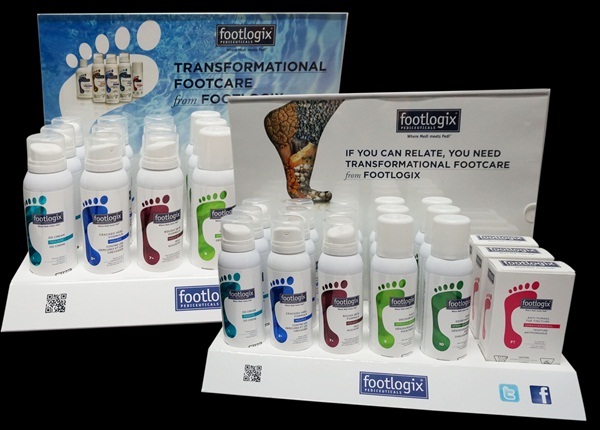 Footlogix introduces a new Counter Display Pre-Pack. With a transparent back panel made of plexiglass and two interchangeable displays, you can choose your preference. The display comes pre-packaged with best-selling Footlogix products that can be refilled whenever necessary.